David Tennant voices Scrooge McDuck in the DuckTales on television. The first season consisted of 21 half hour episodes and two one hour specials. DuckTales premiered on Disney XD in the US on Saturday 12th August 2017 with a one hour television movie which was presented for 24 consecutive hours starting at midnight. The 21 episode series proper then premiered from Saturday 23rd September 2017 on Disney XD. The show moved to the Disney Channel in May 2018. The one hour special Woo-oo! premiered in the UK on Saturday 4th November 2017 with the series proper starting on Thursday 1st March 2018. DuckTales started broadcast in Australia and New Zealand on Friday 13th October 2017, it premiered in Italy on Saturday 26th November and in Germany on Friday 22nd December (in Italy and Germany it was dubbed into the local languages so David's voice was not heard). Broadcast started on Disney Asia on Sunday 21st January 2018. The second season of DuckTales started being broadcast on Disney Channel in the US on Saturday 20th October 2018 and in the UK on Monday 8th April 2019. A third season has already been announced. There was also a Christmas special for Christmas 2018. DuckTales is a reboot of the original 1980s cartoon series. Voicing Scrooge McDuck's nephews are Danny Pudi, Ben Schwartz and Bobby Moynihan as Huey, Dewey and Louie respectively. Beck Bennett voices Launchpad McQuack (Scrooge�s personal pilot), Toks Olagundoye voices Mrs. Beakley (his housekeeper), Kate Micucci voices precocious Webby Vanderquack and Lin-Manuel Miranda provides the voice of Gizmoduck. A surprise addition to the cast was Catherine Tate voicing Magica De Spell. David Tennant attended the DuckTales panel at San Diego Comic-Con on Friday 21st July 2017 and made some television appearances in the US to promote the show. 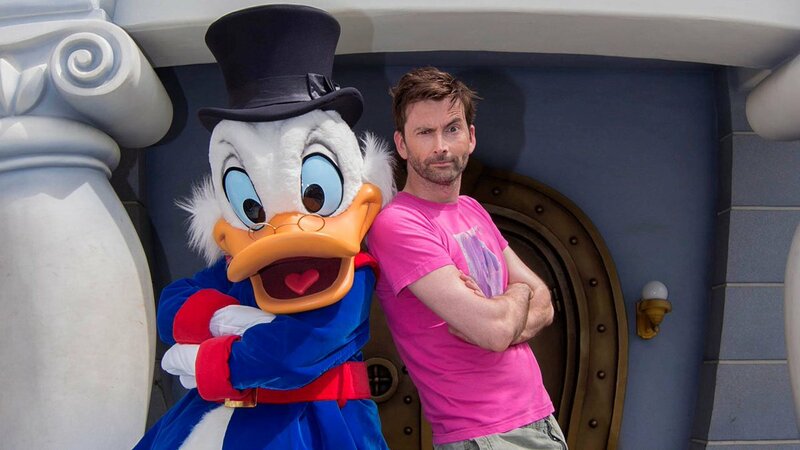 David Tennant attended Disneyland Resort on Saturday 12th May 2018 to promote the show. Synopsis of each episode of DuckTales Season One. Synopsis of each episode of DuckTales Season Two. The DuckTales Christmas episode (Last Christmas) premieres on Saturday 1st December in the US. DuckTales has been renewed for a third season. The second season will premiere in the US on Saturday 20th October on Disney Channel. Recap and photos of David Tennant's panel at FanX Salt Lake Comic Convention. The first season of the revamped DuckTales concludes today in the US when the episode The Shadow War! premieres on Disney Channel. David Tennant has been nominated for the Best Male Lead Vocal Performance In A Television Series Award at the Behind The Voice Actors Awards for DuckTales. DuckTales: Destination Adventure! DVD is available to pre-order in the US. Winners of Daytime Emmys are announced today. DuckTales season starts in South Africa today. DuckTales moves to Disney Channel in the US from Tuesday 1st May. DuckTales nominated for Daytime Emmy. DuckTales series start date for the UK will be Thursday 1st March. DuckTales premieres on Disney Asia. DuckTales to premiere on Disney Asia on Sunday 21st January. The hour long episode Woo-oo! will be shown at 10am on Disney Channel and Disney XD. DuckTales episode Woo-Oo! is released on DVD in the US and Canada today. DuckTales has been nominated for IGN's Best Of 2017 Animated Series poll. DuckTales starts tonight in Italy on Disney Channel at 7.45pm. DuckTales episode The Beagle Birthday Massacre! has its Australian and New Zealand premiere today. DuckTales to premiere a week early in the UK. DuckTales episode Terror Of The Terra-Firmians! premieres in Australia and New Zealand today. DuckTales episode eight premieres in the US today. DuckTales episode six (Terror Of The Terra-Firmians!) premieres in the US today. DuckTales to premiere in the UK on Monday 13th November and Catherine Tate has joined the cast. DuckTales episode five (featuring David Tennant) premieres in the US tonight. DuckTales episode four premieres on Disney XD in the US today. DuckTales season premieres on Disney XD in the US today. A new DuckTales promo video for the new season titled You Better Duck! has been posted to YouTube. 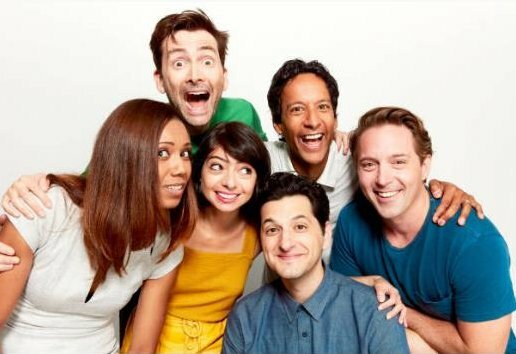 David Tennant's interview about DuckTales to be shown on Good Morning America today. Video of David Tennant's interview on AOL Build today to promote DuckTales. Video of David Tennant, Danny Pudi and Ben Schwart interview from Good Morning America today. 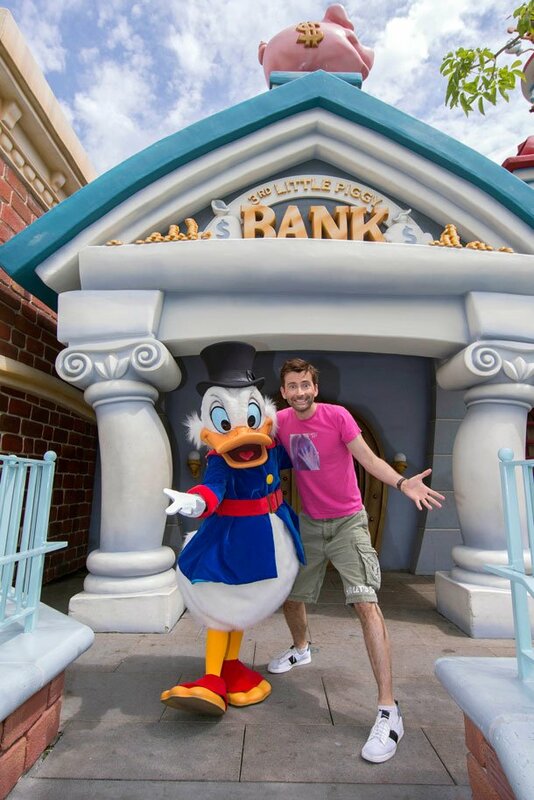 Disney Day at TCA today - David Tennant MAY attend for DuckTales. New video from DuckTales: Visiting Atlantis. DuckTales to start in the US on Saturday 12th August with a one hour special. The 21 episode series will then premiere from Saturday 23rd September. IGN have a clip of a new DuckTales video which features David Tennant's voice. It is called Donald's Birthday. 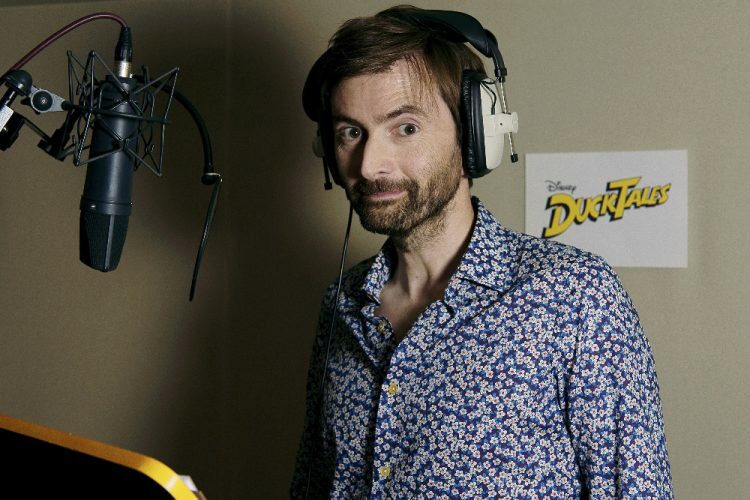 The first video of David Tennant voicing Scrooge McDuck in DuckTales has been released. Photos, videos and news of David Tennant on The Last Leg tonight. David Tennant will voice Scrooge McDuck in Disney's DuckTales television series (the link includes a video of David and the cast singing).